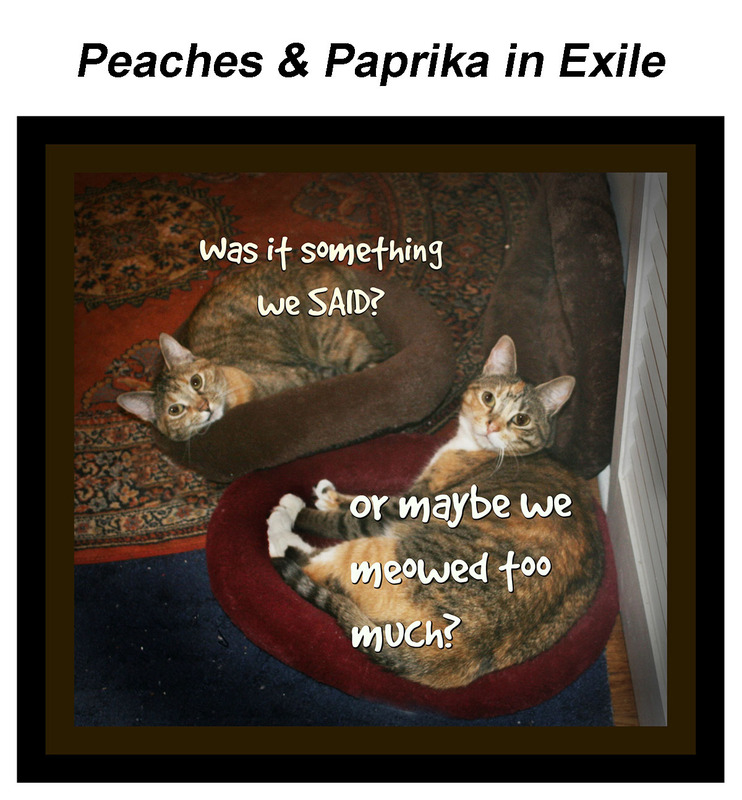 Peaches and Paprika: Peaches & Paprika Exiled from bedroom! Alas, our human has "exiled" us from our comfy sleeping quarters in the bedroom. We thought at first we had done something wrong (could have been anything). Turns out there's a puffy substance called "Steam" our human is using in there to recover from a human thing called "FLU." and that the steam makes the room too hot for our Furrrrs. 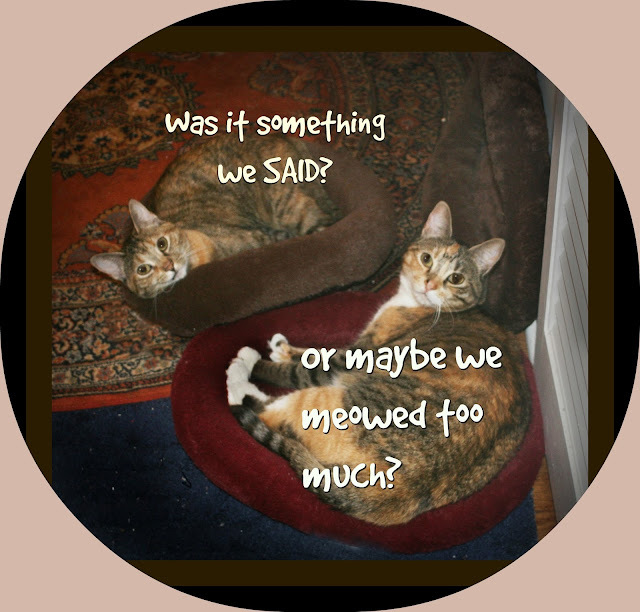 We wish to report we're not pleased with our new sleeping quarters called "Cat Beds" They're on the floor! We're used to a nice warm bed! I mean, after all! We much prefer human furniture-don't you? She said this is just temporary & we didn't do anything wrong. She SAYS..But we are planning on trying various persuasive methods if this arrangement doesn't end soon! If yer Mom needs steam do prevent problems, shouldnt you? We find that having deaf ears are quite useful if something needs doing and we don't want to do it! Banished from your own room??? You poor girls!